Thursday September 27th at 9:30 pm. Season 11 of Murphy Brown premieres on CBS after running from November 1988 to May 1998, running for 247 episodes and being Emmy nominated for 168 times, winning 51 (the show for Best Comedy three times and Candice Bergen for Lead Actress in a Comedy five times). And now you can see where the show will begin. CBS has just released the trailer for the new season (see below) updating viewers as to where each of the characters are now and where they went after the finale in 1998. And for viewers who may not have known or seen the show when it originally aired, they offer a brief overview of what took place during the series. Part of the reason I am extremely interested in watching the return of the series is because I have “gotten to know” Candice Bergen far more than what I understood in the late 90s being a teenager. I faintly remember the back-and-forth between Vice President Dan Quayle, and I remember watching a few episodes late in the series – some centered around the character’s breast cancer storyline as I was in high school when it wrapped up. Most vividly, what I can remember, what caught my attention immediately, was the writing; however, at the time, I didn’t know it was the writing that I was drawn to. Diane English, the creator and lead writer of Murphy Brown is, along with Candice Bergen, the driving force behind the return of the show. Describing the show as being political by design with something to say about said political issues of the day, she and the cast answered questions recently where it was revealed the first episode is set on November 6, 2016. Along with this tidbit, “an enormously famous person” will make a cameo on the premiere episode as well, but their lips are locked beyond sharing any more. However, I think it is important to share what English made clear – the show takes their platform seriously, and will leave the direct attacks of the political individuals to the late night comedians, and instead “focus on ‘bigger themes’ including Russian election tampering and climate change” (episode #4 which was written months ago will center around the #metoo movement). The character of Murphy Brown is direct, frank, exceedingly aware of the world to the point that she won’t sit idly by conforming to what limited boxes others would have her stay put within (which includes being stuck with a not-so-helpful secretary – the character went through 93). She goes about living her life, some times it would seem unconsciously, as she knows she is capable regardless of society’s understanding of what is possible. I would be remiss if I did not acknowledge that she as well steps into many gaffs of her own making and everyday niceties are not always her forte. Many viewers are drawn to her because she says what we might want to say, but don’t have a writer to craft our thoughts and feelings so succinctly, nor do we want to deal with some of the ramifications. In many ways Candice Bergen herself softens the edges of Murphy off camera, but still embodies many of the strengths of her character who made her way into actual news beyond the studio. Having read her most recent autobiography which came out in 2016 – A Fine Romance, she takes readers behind the scenes of her public life and into her personal relationships with her first husband, French film director Louis Malle who passed away in 1995 and her husband Marshall Rose who she married in 2000. But for anyone curious about life on the set of Murphy Brown, this is a book to read as it includes behind the scenes with the cast and crew quite intimately (her previous memoir was released in 1984 – Knock Wood). She has a witty sense of humor as what she shares on Instagram reveals (take a look at her avatar and it speaks to this immediately) is not edited or perfected – it is just Candice – aka BergenBags. Not seeming to take herself too seriously, she does know how to keep hold her cards close to her vest (case in point, Bergen and English had discussed bringing the series back in 2012, but shelved them until the most recent election reopened serious considerations for the 11th season). If you do follow Candice on Instagram, you will find her in France often, most likely for many reasons we all may understand, but also because of her French husband (they were married in France) and a country home she still visits with her family (Chloe Malle – a social editor for Vogue is her daughter). 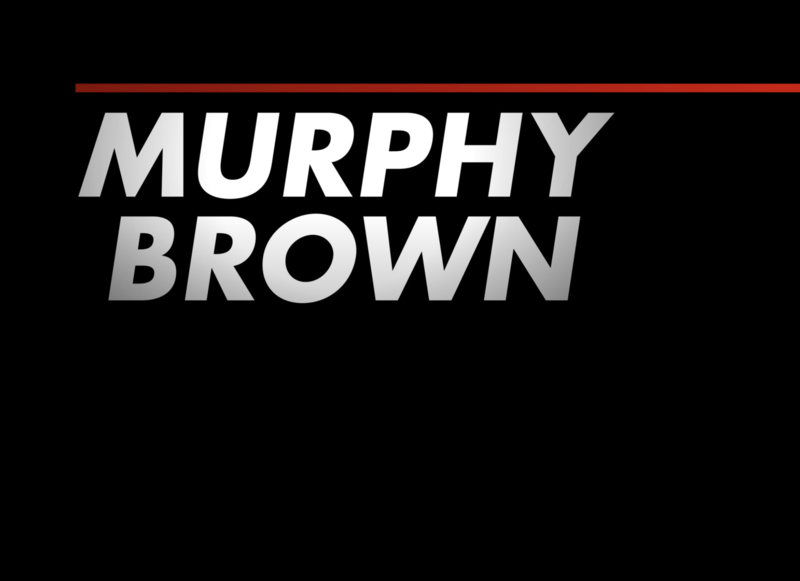 While some viewers may wish to step away from any series that involves politics as a hope of lightening the incessant barrage of negativity (I myself have even shared I am limiting my intake of information), the reason I am eagerly waiting for Murphy Brown to return is due to the quality that it once offered and hopefully will again. Quality, intelligent writing isn’t easy. In fact, comedic writing is arguably more difficult than dramatic writing precisely because the response the writer wishes to elicit must take into account the audience, their knowledge base, the pulse of the moment and the audience’s emotional connection to the character conveying the written words. 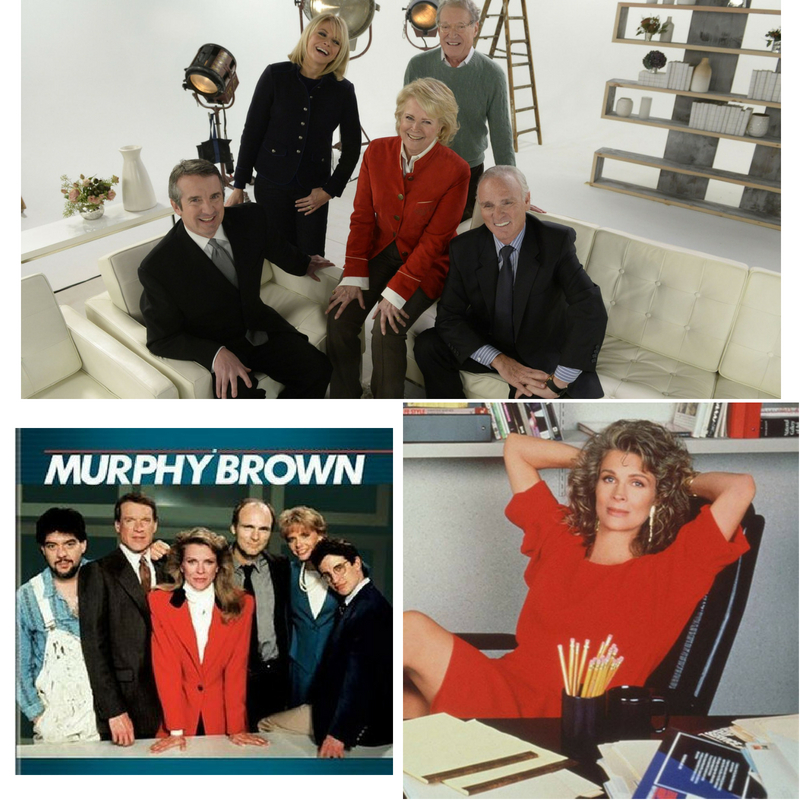 Many viewers already have a connection to Murphy Brown which is a rare platform to begin a series with. And with more than a few shows having already tried their hand at threading the needle of our current times to successfully communicate and provoke conversation rather than a turning off of the channel, I am giving Diane English and her crew the benefit of the doubt that if anyone can do it in the 13 episodes they have been given by CBS, they can. Have a look at the trailer below and remember, the actors are in character the entire duration of the trailer. As I rewatch this trailer, the nostalgia brings me an effervescent feeling of comedic relief! I too, am beyond excited for season ELEVEN! Murphy Brown is right on time with exactly what we all need in the present. Cheers! Comedic relief is right! Not aggressive, but smart. Thanks for sharing your thoughts. I SO need this and will be tuning in EVERY SINGLE NIGHT! Welcome back Murphy!